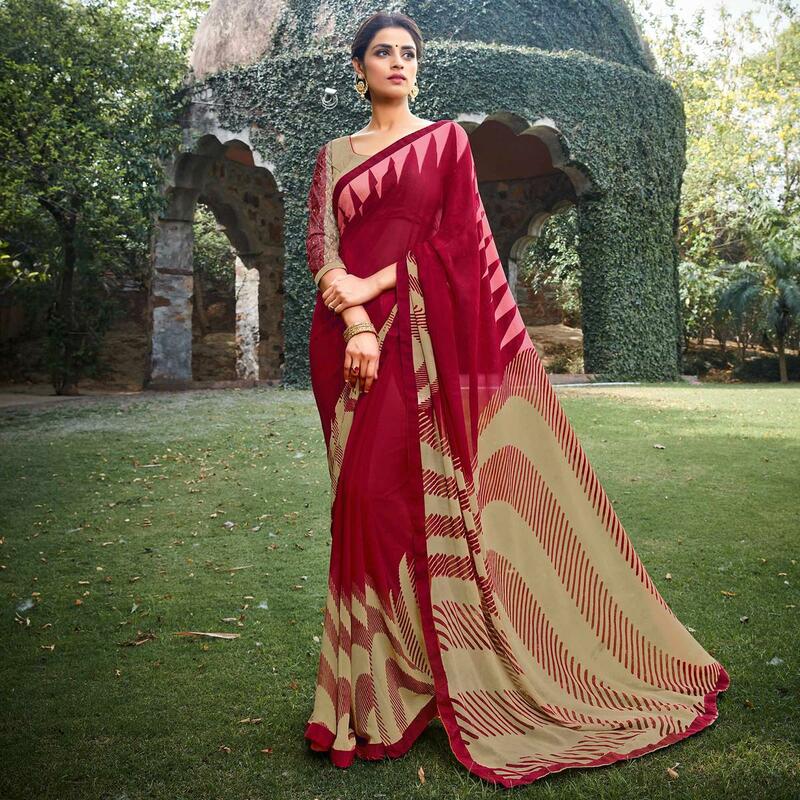 Refresh your casual look wearing this beautiful maroon color saree enriched with fancy design prints done at pallu of the attire. This saree is made out of georgette fabric which is durable, easy to maintain and care. 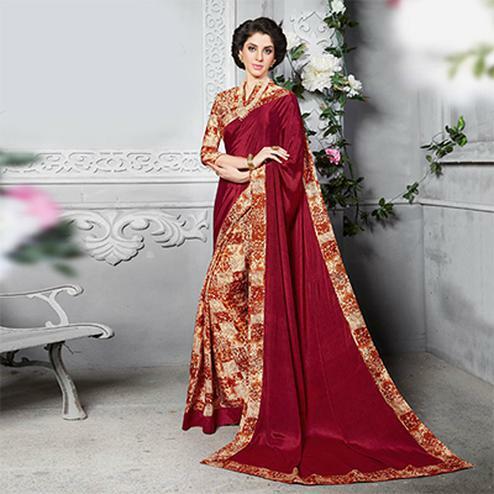 It comes along with matching colour banglori silk and net fabric blouse piece in unstitched type. Ideal for casual wear.